Roger Yeo son of James & Elizabeth Chapple, was born 5 January 1786 in Swimbridge, Devonshire, England, and died 16 September 1872 in Wellington, New South Wales, Australia. 1826.5.27 Notice is hereby given (pursuant to an Act of Parliament made in the eighth yea r s of the reign of His Majesty King George the Second, entitled "An Act for the Amendment o f the law relating to actions on the Statute of Hue and Cry") that ROGER YEO of Swymbridge, in the County of Devon, Schoolmaster, on the 6th day of May instant, between the hours of One and Two, in the afternoon of the same day, was stopped and robbed by two persons in the public highway, between Barnstaple and Southmolton, in the County of Devon, one of them being dressed in a fustian jacket, very dirty and ragged, with short trousers of the same colour , having no hat, but a dirty white handkerchief or cloth over his head, and a piece of iron or a dark stick in his hand, about two feet long. The other person came behind the said ROGER YEO and kept him down on the ground so that the did not see him, which persons took from the person of the said ROGER YEO a pocket book containing bank notes of the value of 28 3 pounds . Dated the 23rd day of May 1826. An extant was civil proceedings taken out by a government body. Successive baptismal records show that Roger and his family moved to Tawstock, where Maria, his wife taught, and then to Barnstaple where he was a Fishmonger. Presumable a judgment was given against him on the Extant, of which we have no record, for he appears to have been made bankrupt. In 1839 he emigrated with most of his family and came out on the Amelia Thompson to Sydney and moved to Bathurst. He arrived in Sydney Australia on 27th September 1839 per "Amelia Thompson" Roger Yeo Married Male Immigrant Arrived by the Amelia Thompson Brought out by John Marshall Esq A native of Swimbridge Devon Son of James Yeo, farmer and Elizabeth his Wife of the same place Calling - Farmer Age on embarkation 53 Character and Person certifying same : Very trustworthy A Y Luxinor State of bodily health, strength and probably usefulness - very good Religion Protestant Remarks - reads & writes His sons, Thomas Roger and John, came out later. 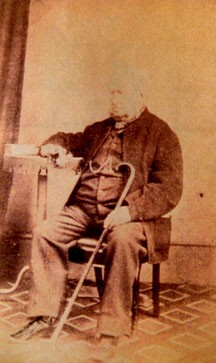 He appears to have worked as an Auctioneer and died in 1872 at Wellington. The Family bible survived in which are recorded all his family. Thomas Roger Yeo, born 11 June 1817 in Swimbridge, Devonshire, England; died 28 December 1899 in Yeoland, Swimbridge, Devonshire, England. He married Maria Sherwill.Did not migrate to Sydney per "Amelia Thompson" on 27th September, 1839 with parents and brothers and sisters but arrived later. He had a printing business in George Street, Sydney. John Yeo, born 17 February 1819 in Tawstock, Devonshire, England; died November 1829 in Swimbridge, Devonshire, England. Mary Elizabeth Yeo, born 1 February 1826 in Swimbridge, Devonshire, England. She married Alfred Allen on the 9th August 1854 at Bathurst.Eleanor Yeo, born 17 January 1828 in Tawstock, Devonshire, England; died 7 August 1828 in Tawstock, Devonshire, England. Christopher Antisell Yeo, born 7 October 1829 in Tawstock, Devonshire, England; died 1914 in Wellington, New South Wales, Australia. Maria Yeo, born 18 October 1833 in Swimbridge, Devonshire, England. She married James Burnside. Emma Yeo, born 27 January 1838 in Swimbridge, Devonshire, England; died 1927 in North Sydney, New South Wales, Australia. She married James Burfitt. Mary Elizabeth Yeo, born 1 February 1826 in Swimbridge, Devonshire, England. She married Alfred Allen on the 9th August 1854 at Bathurst. James Yeo third son of Roger, was born 10 March 1822 in Swimbridge, Devonshire, England, and died 11 July 1878 in Gonalgang,McQuarie River, Dubbo, New South Wales, Australia. He married (1) Eliza Bashill 26 February 1851 in Bathurst, New South Wales, Australia. He married (2) Eliza Burfitt 1862 in Bathurst, New South Wales, Australia. He arrived in Sydney Australia per "Amelia Thompson" on 27 September, 1839 with parents and brothers and sisters. James Yeo Unmarried male immigrant Native of Swimbridge Devon Son of Roger Yeo an immigrant by same ship Calling: Printer Age: 18 Person Character: very good Health: very good Protestant: Reads and writes James Yeo was a Publican of the Royal Hotel Dubbo, and Landholder Search of the probate list has James Yeo as proprietor of Elong Elong 12800 acres and licensee of Cobrannagy 16,000 acres, both in the Bligh District. In the Parliamentary Return of Landholders in the Dubbo District 1885 James Yeo is listed as proprietor of a property called Bolero of Cobborah. A property of some 900 acres carrying 20 horses, 1 cattle and 1500 sheep. On James Yeo's death circa 1881 Joshua Gill one of Dubbo's largest storekeepers (1870s to 18 80s) and James Spencer Stevens another of Dubbos's leading storekeepers in the 1870s, obviously creditors to James Yeo, took action in the Supreme Court of New South Wales in regard to the probate of James Yeo's Will. All documents in relation to the sale of James Yeo's town property, which had been subdivided into 13 sections and were to be sold at auction on 10th Mayh 1887, were all directed to the Supreme Court of New South Wales in Equity. George Yeo, born 1848 in Bathurst, New South Wales, Australia. James Edwin Yeo, born 1849 in Bathurst, New South Wales, Australia. Thomas Yeo, born 1853 in Bathurst, New South Wales, Australia; died 1922 in Wellington, New South Wales, Australia. John Yeo, born Abt. 1858 in Sydney, New South Wales, Australia; died 1858 in Sydney, New South Wales, Australia. Christopher J Yeo, born 1858 in Sydney, New South Wales, Australia; died Abt. 1858 in Sydney, New South Wales, Australia. Charles A Yeo, born 1859 in Bathurst, New South Wales, Australia; died 1860 in Bathurst, New South Wales, Australia. Charles R Yeo, born 1863 in Wellington, New South Wales, Australia; died 1863 in Bathurst, New South Wales, Australia. Ernest James Yeo, born 1865 in Dubbo, New South Wales, Australia; died 1948 in Coonamble, New South Wales, Australia. He married Annie Elizabeth McIntyre 1897 in Coonamble, New South Wales, Australia; died 1938 in Coonambie. Mary Yeo, born 1867 in Dubbo, New South Wales, Australia. Alfred G Yeo, born 1868 in Dubbo, New South Wales, Australia. Fanny M Yeo, born 1870 in Dubbo, New South Wales, Australia; died 1871 in Dubbo, New South Wales, Australia. Yeo, born 1872 in Dubbo, New South Wales, Australia. Ernest Frank M Yeo, born 1860 in Bathurst, New South Wales, Australia; died 1943 in Granville, New South Wales, Australia. He married Prudence Smith. Evelyn Mary Jane Yeo, born 1862 in Bathurst, New South Wales, Australia; died 1921 in Rockdale, New South Wales, Australia. She married Angelas Phalaras She was Matron of the Sydney Church of England Grammar School (North Shore) where a plaque commemorates her service. Frances M Yeo, born 1863 in Forbes, New South Wales, Australia; died 1864 in Forbes, New South Wales, Australia. Alice Florence Yeo, born 11 February 1865 in Forbes, New South Wales, Australia; died 22 July 1945 in Kia-Ora Hospital, Haberfield, New South Wales, Australia. She married John W. McCarthy. Arthur Plane Yeo, born August 1867 in Forbes, New South Wales, Australia. He married Louisa Curry 25 June 1895 in Rankin Street, Forbes, New South Wales, Australia. He was Alectown's first school teacher and was a keen cricketer, playing for the Western Districts in a match against the English Eleven in which match he top scored. In June1895, he married Louise Mary Currie who had come from the Yass District.There were three sons and three daughters from the marriage, all of whom were born at Alectown and later lived in Peak Hill. The Commonwealth reported on October ll, 1901 a presentation was made to Mr. Yeo at Alectown in appreciation of eleven years residence in the town. After leaving teaching, Mr. Yeo formed a partnership with Hector Gibson and at one time leased the recreation ground for a short period. He served a justice of the peace, was coroner for several years and was secretary of the hospital. He was also, for a time, owner and editor of the Peak Hill Express. Later, he was assistant handicapper and started for the Western Districts Racing Association. The eldest son, Bill, later Sir William Yeo , en listed in World War 1 and returned to Peak Hill after the war. The youngest son of Arthur and Louise, Darcy was born in the old Rectory on 2 February 1906. Gertrude A C Yeo, born 1868 in Forbes, New South Wales, Australia. She married (1) Harry Gilmore. She married (2) Richard Bennett. Bertie Eugene Yeo, born 1871 in Dubbo, New South Wales, Australia; died 1938 in Bowral, New South Wales, Australia. He married Mary Campbell 1895 in Yass, New South Wales, Australia. Lilly Blanch Yeo, born 1873 in Wellington, New South Wales, Australia. She married Mr Gilison. Florence N Yeo, born 1861 in Bathurst, New South Wales, Australia; died 1874 in Wellington, NSW, Australia. Milly Emily Yeo, born 1863 in Bathurst, New South Wales, Australia; died 1933 in Wellington, New South Wales, Australia. Frances Yeo, born 1865 in Orange, New South Wales, Australia. Caroline Jessie Yeo, born 1870 in Dubbo, New South Wales, Australia. 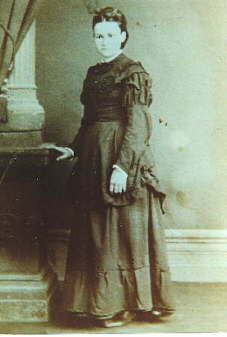 Eva Mary Yeo, born 1872 in Wellington, New South Wales, Australia; died 1872 in Wellington, New South Wales, Australia. Letty Ada Yeo, born 1874 in Wellington, New South Wales, Australia; died 1876 in Dubbo, New South Wales, Australia. Thomas R Yeo, born 1877 in Dubbo, New South Wales, Australia.